Fund managers say ready to deploy up to US$1 trillion for investment in the continent. The African continent is set for a major shift in Private Equity investment trends after a major announcement was made in Nairobi this week. During the 16th annual African Private Equity and Venture Capital Association (AVCA) conference, fund managers from around the globe, mainly the US and European markets said they are ready to deploy up to US$1 trillion for investment in the continent. This is through PE funds, a move that now places the continent at a strategic position to tap into the funds for investments in various areas. If tapped by local investment firms, the pool of funds could more than double the number and value of deals reported in the last six years, with regions such as East Africa, West Africa and Sothern Africa reaping big. Alokolaro who led a team of experts from TNP to the Nairobi event said the continent should angle itself for more deals this year, singling out Kenya as one of the countries set to benefit in East Africa. “We expect to see a lot of deals going forward. In East Africa, Kenya will remain a top investment destination,” he said. AVCA latest data shows the value of reported African PE deals between 2013-2018 was US$25.7 billion, on a total number of 1,022 deals. During the period, total value of African PE fundraising closed at US$17.8 billion. The highest value in the six years was recorded in 2014 (US$7.8 billion) which went down to US$2.5 billion in 2015, the lowest during the period under review. Last year, the value dropped to US$3.5 billion from US$3.9 billion in 2017, reflecting reduced investment activities by both fund managers and investment funds. West Africa leads in both the number and value of deals reported during the period, where it accounted for 26 per cent(volume) and 25 per cent-share of total deals. East Africa took a sizable share commanding 18 per cent of PE deals by volume , but lower on value which accounted for eight per cent of the US$25.7 billion. The Nairobi announcement hence places the continent at a strategic position to revitalize the markets. AVCA Chief Executive Michelle Essome has since expressed confidence over growth of the PE market in the continent. “We are positive the PE market will continue growing presenting a unique asset class for Africa. The growth will enable companies to expand, create employment and improve lives in the continent,” Essome said told journalists in Nairobi. According to Tokunboh, who is also the Co-founder & MD of Alitheia Identity, growth in investments will strengthen the continent, giving Africa a stronger bargaining capacity in the global scene. Kenya has continued to dominate the region’s PE space as investment firms hunt for deals in different sectors. According to official industry data, the East Africa’s economic power house accounted for 59 per cent and 58 per cent of the value and volume of deals reported in the region respectively, between 2013 and 2018. Uganda took 19 per cent of the volume of PEs and 11 per cent of the total value. Tanzania accounted for nine per cent on both the volume and value of deals reported in the region. Ethiopia took an 11 per cent share of PE deals by value and seven per cent by volume, Rwanda six per cent (volume) and three per cent (value) while Djibouti had a seven per cent share of PE deals by value and one per cent (volume) of the total deals. 194 PE deals were reported during the six year period(2013-2018) valued at US$2.4 billion, of which US$6 million worth of the deals were median deal size. “The average growth rate in East Africa was almost six per cent from 2010 to 2018, with Djibouti, Ethiopia, Rwanda and Tanzania recording above-average growth rate,” AVCA says in its latest report. East Africa Venture Capital Association (EAVCA) data shows disclosed value for deals almost doubled to US$834.3 million last year, compared with US$446.78 million in 2017. Ethiopia has the potential to be a key market for PE investment, AVCA has since noted, given the size of its population (at 108 million) , the second most populous on the continent. This year’s event saw more than 500 top fund managers and strategic investors from across the globe meet in Nairobi to deliberate on industry challenges and investment opportunities, mainly in Africa. The fund managers collectively manage more than $1.5 trillion (Sh151.3 trillion) in assets. During the forum, the Kenyan government called on investors to put funds in projects that will help the realization of President Uhuru Kenyatta’s Big Four Agenda of Food Security, Universal Health Care, Affordable Housing and Growth of the Manufacturing sector. “We welcome you to take advantage of the investment opportunities in the country, mainly in the Big Four and other sectors,” Kenya’s Cabinet Secretary for Industry, Trade and Cooperatives CS Peter Munya said. The government has since assured investors of protection for their investments in the country. Sectors commanding huge numbers in PE investments in the continent include consumer staples (15 per cent), consumer discretionary(14 per cent),industrial(13 per cent),IT(11 per cent),real estate(nine per cent), Health Care(7%),utilities (6%),communication services(6%) materials(5%) and energy(3%). “There is a lot to expect in the PE market with East Africa expected to remain bullish,” said Edward Muriu, Team Leader at MMC Africa, a leading advisor in the capital markets space. Sources: , . Image sources: Markus Spiske , . When daily power cuts became the “new normal” in Zambia during a 2015 drought, farms, companies, schools, and households experienced anything but business as usual. Zambia’s energy is drawn primarily from hydro power, so when a dry spell plagues the nation, its economy—alongside the potential for long-term socio-economic development—dries up, too. Although low rainfall that year was especially punishing, Zambia’s energy crisis has been a problem for over a decade because of the nation’s reliance on hydropower. 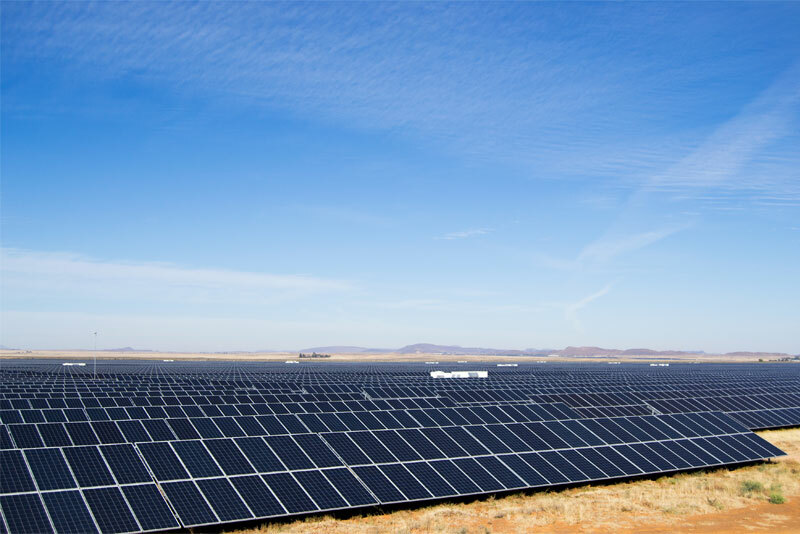 In theory, diversification was possible: since the Zambian sun shines almost 65 percent of daylight hours, solar power was an attractive option. But scalability and affordability had posed challenges. Scaling Solar, a World Bank Group program that helps developing countries procure grid-tied, private solar power, offers Zambia a solution. The program includes technical advice for large-scale adoption of solar technology and a set of pre-negotiated, template documents aimed at increasing transparency and reducing risks and costs for governments and developers. Financing, guarantees, and insurance to boost confidence about projects in new and challenging markets are also options. Scaling Solar made it possible for Zambia to achieve some of the lowest solar tariffs in the region. The program has since expanded to Senegal, and mandates have also been signed in Ethiopia and Madagascar. Spreading renewables-based solutions across the continent is important because although Africa is responsible for only 4 percent of global greenhouse emissions, 65 percent of Africans are in some way impacted directly by climate change. Identifying solutions to help Africans adapt and become more resilient to climate change is one of the objectives of the One Planet Summit taking place on March 14 in Nairobi. The event highlights Africa’s situation as a continent facing climate-related challenges and opportunities, and it will convene African leaders, entrepreneurs, donors, international organizations, and other stakeholders. It is co-hosted by the World Bank Group. The One Planet Summit is built around the idea that resources and solutions for renewable energy already exist in Africa—but there is a need to accelerate financing and mainstream development as the region struggles with rapid urbanization and other challenges presented by global warming. The figures are daunting. More than 470 million people live in sub-Saharan Africa’s cities, and this is expected to double over the next 25 years. By 2050, the region is expected to house 20 percent of the world’s urban residents. Climate change is a leading factor contributing to the trend toward urbanization, as extreme temperatures and unpredictable rainfall affect income from agriculture. As urbanization continues, so does the demand for resources and impact on the environment. Currently, cities consume over two-thirds of the world’s energy and account for more than 70 percent of global carbon emissions. The concentration of people, industry, and infrastructure leaves cities especially vulnerable to climate change–and also uniquely placed to combat it. Nairobi, the city hosting the One Planet Summit, is a good example of how climate-related challenges can open the doors for climate-smart investment. Although 70 percent of Nairobi’s installed electricity capacity comes from renewable sources, there are opportunities to attract investment in other sectors. IFC analysis found that Nairobi has a $8.5 billion climate investment opportunity leading up to 2030. The biggest investment opportunity—$5 billion—lies in electric vehicles, followed by public transport ($1.6 billion), green buildings ($1.1 billion), water ($360 million), renewable energy ($240 million), and waste ($140 million). 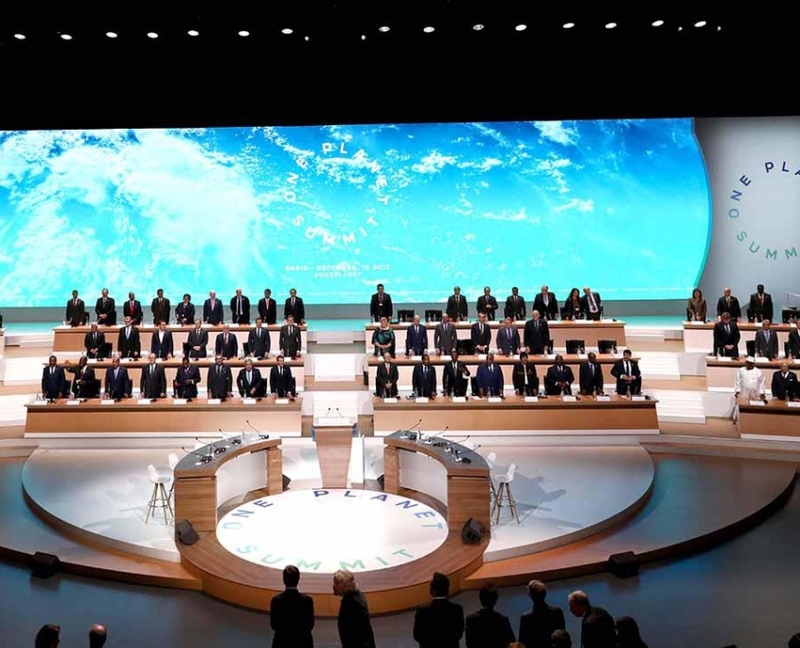 To find out more about the One Planet Summit, click here. Sources: , . Image sources: , Karsten Würth . In the row behind Ramaphosa sat Zimbabwean president Emmerson Mnangagwa. When he arrived moments before, he paused for a discussion with international relations and co-operation minister Lindiwe Sisulu – part of the six or seven-strong Cabinet delegation that travelled to Addis with Ramaphosa. For the rest, the man with his now-famous scarf mostly sat quietly, possibly thinking of the economic troubles back home, and devoid of the adulation that was normally reserved in this forum for his aged, stumbling predecessor. Ramaphosa’s first AU summit in Ethiopia turned out to be an important one, as South Africa was chosen to chair the continental body in 2020. The chair is rotational, and this year it was the turn of the Southern African Development Community to put forward a candidate. The lobbying wasn’t half as tough as, say, in 2012 when Nkosazana Dlamini Zuma was elected AU Commission chairperson, but South Africa wasn’t the first choice. There was talk initially that it was eSwatini’s turn to lead. Officials, however, said the monarchy – which is heavily in debt – complained about “capacity constraints”. The officials didn’t clarify the meaning of this, but it seems to be about money. eSwatini would still be “hosting”, officials said, which means the mid-year summit would go to the kingdom. Except, following the AU reforms, mid-year summits are supposed to have been downgraded to gatherings. This aspect of the reform hasn’t gained too much traction so far because hosting summits is a matter of national pride, and perhaps the continental body would agree to make an exception for eSwatini. It has, after all, spent billions of rand (an estimated R4.8-billion, to be more exact) it doesn’t really have, to build a massive convention centre for this purpose. Bar a big upset during the May 8 general elections, Ramaphosa will still be in the seat in 2020. As AU chair he is likely to focus strongly on trade and investment, and perhaps pay some polite lip service, at the very least, to human rights issues. During a ceremony where South Africa ratified the African Continental Free Trade Agreement (AfCFTA) late Sunday afternoon, AU Commission chairperson Moussa Faki Mahamat praised the country for its political commitment to free trade in the continent. “With the support of South Africa, we can see this become a reality,” Mahamat said. Ramaphosa said the AfCFTA would move “our continent in a direction that will see African countries progress”. Only about five more ratifications are needed to have the agreement come into effect. Ramaphosa might also want to see AU meetings start more punctually, although his powers to enforce this might be limited. He appeared to have spent an hour or more waiting on Saturday night for all to arrive for the SADC meeting, which ended up not starting on time, just like the opening session of the summit, which kicked off more than 90 minutes late. Rwandan president Paul Kagame’s term at the helm of the AU ended in a bit of a storm on Sunday. His invitation to Microsoft founder Bill Gates, whose foundation does a lot of work in health in Africa, and Fifa president Gianni Infantino, to address the African heads of state, caused some friction with fellow leaders. It’s highly unusual to invite speakers from outside the continent. Despite this, Kagame failed to live up to his good record of keeping gender balances. Apart from a report-back on refugees, not a single woman spoke during the opening session. Kagame, however, worked hard in the past year to make the role of AU chair a prominent one, and he hosted no fewer than two summits in Kigali – one on the AfCFTA and the other on AU reforms. Apart from the AU, South Africa is also currently a non-permanent member of the United Nations Security Council, where numerous countries and pressure groups have tried to lobby the country to pursue what they consider to be a human rights approach. South Africa would be in a strong position to represent the continental body’s concerns on an international stage through this. Deloitte recently hosted the 2019 Africa in 2019 Outlook Conference in Johannesburg, South Africa. A focus area was how Africa can improve on its ability to execute economic growth. Our Director, Rene Stegmann, attended on behalf of Relocation Africa. Below are some highlights from the conference. At the end of 2018, United States (US) National Security Advisor John Bolton unveiled the Trump administration’s new Africa strategy. Known as the Better Utilization of Investment Leading to Development (BUILD) Act, the policy move aims to ensure US competitiveness on the continent where extensive engagement has already been made by China. How this geostrategic competition between two great powers plays out for the continent is a key question. African economies have witnessed rising debt levels as the continent continues to make use of borrowed funds to finance infrastructural development. With a significant sum of financing flowing from China, the average debt-to-GDP ratio on the African continent has risen to 57%. What is important, however, is not the amount, but the serviceability of the debt in question. African economies need to ensure that acquired infrastructure is used productively to create returns that can service the debt from which such infrastructure originated. In 2019, 24 countries across the continent will hold a major election (presidential, general, legislative), which is significant given that the economies of frontier markets tend to be influenced by domestic politics. The outcomes of these elections will shape the future for many economies on the continent. Nigeria and South Africa – will 2019 be a year of structural reform? Nigeria and South Africa, two of Africa’s largest economies currently experiencing “structural limbo”, are in need of renewed growth drivers. It remains to be seen whether or not the requisite political will exists to reinvigorate growth in both economies. Referred to as the “African miracle” Ethiopia’s leadership has undergone significant restructuring to ensure that the economic changes currently taking place are supported by new political thought and leadership. Growth in Ethiopia has been driven by investment in fixed capital, giving rise to powerful domestic industries responsible for job creation. The future development of Ethiopia poses an interesting case study for the continent. Looking forward, 2019 is set to be the year of uncertain sentiment, most notably due to global trade tensions and protectionist strategies and their potential effect on the global economy. However, not all global crises are felt equally across geographic regions, as was the case with the 2008 global financial crisis. Productive infrastructure is vital for development to take place in Africa, however, access to funding continues to be a significant issue facing multiple economies across the continent. According to figures published by the African Development Bank (AfDB), infrastructure needs across the continent amount to US$130bnUS$170bn a year, with a corresponding funding gap in the region of US$67.6bn-US$107.5bn. Furthermore, tightening fiscal conditions across the continent mean that the existing funding gaps will not be covered by government expenditure, placing infrastructure investment under stress. The introduction of private players in the infrastructure funding space, however, has been a significant development, particularly where infrastructure is concerned in countries in need of growth. 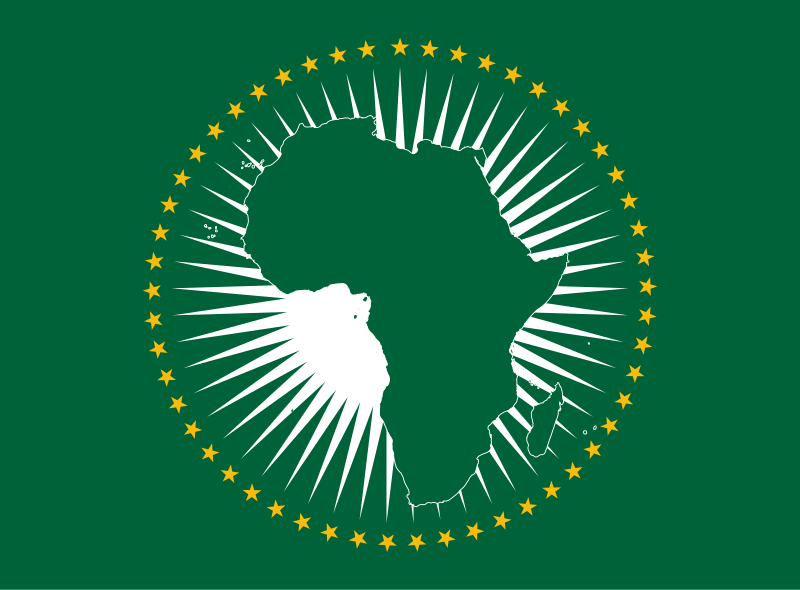 Intra-African trade – trade between African countries – currently accounts for 18% of overall trade on the continent, indicating the high degree of opportunity that still exists for the further integration of African economies. To this end, it is paramount that the necessary funding is available to develop African economies as well as support their ability to trade with each other. While private capital can be key enablers of such development, countries hoping to attract more private capital need to focus on developing growth incentives and an industrial base to drive investment. To view the conference report, click here.